I’ve been trying out new skin care products over the last few months to completely overhaul my routine. I’ve been in the market for anti-aging products that aren’t too mature, but still yield the benefits and results I’m looking for (i.e., moisturizing, toning, and softening the fine lines that have crept up around my face). 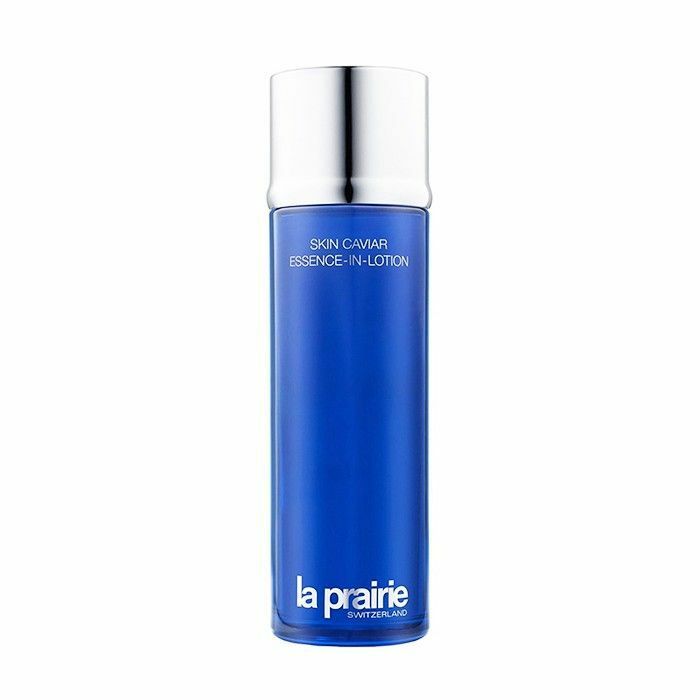 Ever since I first brought La Prairie’s Anti-Aging Eye and Lip Perfection à Porter ($160) home with me, I’ve been on a La Prairie kick and couldn’t wait to try out the brand’s newest offering. The caviar collection is a line of products that include caviar extracts in each bottle to help support the natural contours of your face. Each formula is meant to improve elasticity and tone by lifting and firming the skin on your face with each application. The Skin Caviar Essence-in-Lotion ($240) is a light yet potent serum-y texture that hydrates, conditions, and prepares your skin to better absorb the products that follow. The secret? It contains 100% active caviar water. Fancy, huh? After cleansing, I applied the pre-serum treatment with my fingers (no cotton pad needed!) and immediately felt my skin shape up. It’s cooling, conditions, and smooths on like something out of a dream. Using a gentle patting motion, I massaged it in for a few seconds so the product could completely absorb—and to promote lymphatic drainage to decrease puffiness. I followed up with my favorite serum (not so surprisingly, it’s La Prairie’s Anti-Aging Rapid Response Booster, $300) and moisturizer (Elemis’s Pro-Collagen Marine Cream Ultra-Rich, $128). Truly, my skin feels baby soft, and my pores are non-existent. I vow to keep foundation off my face for as long as my professional life allows because, man, this is great. Would you splurge on La Prairie’s newest product? Let us know in the comments below!